As communities become more populated and the increasing amount of airborne noises rise, there is a real need for reducing the noise levels in both business and residential buildings. There are a few traditional sound reduction methods currently available, however, most of these methods are expensive and require extra labor and wasteful square footage. SCAFCO now offers a revolutionary noise barrier product called SoundGuard™ Silent Steel Framing System. SoundGuard™ has many advantages over all other methods. SoundGuard™ eliminates sound by reducing the vibration transferred through the assembly. The new system is also easily installed and is much more cost effective than traditional sound barrier construction methods. 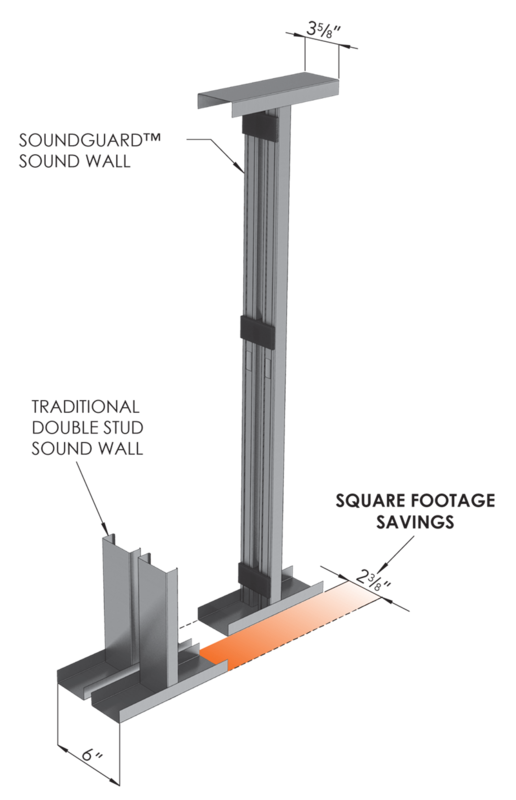 The SoundGuard™ Silent Steel Framing System is a patented interior framing system specifically designed to easily construct partition walls with high STC ratings. The SoundGuard™ system was created to save labor on construction and accomplishes excellent sound rating numbers. The control of noise and vibration is essential for health, safety, environment, and quality. SoundGuard™ Framing System is expertly designed to provide a cost effective and practical solution to noise control. 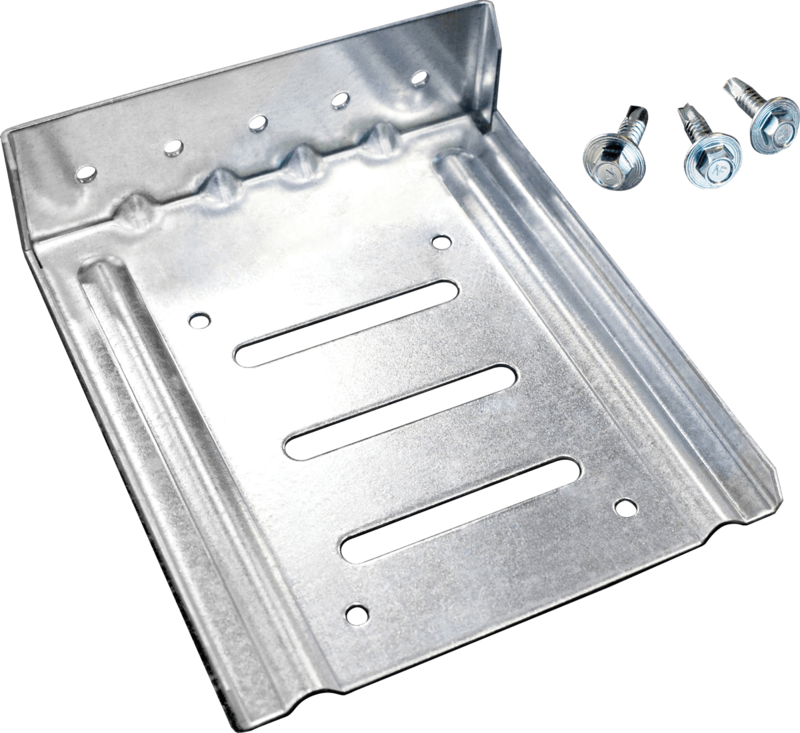 SCAFCO manufactures a complete line of acoustical framing studs and track to meet noise requirements and to help solve many noise problems. SoundGuard™ studs and track are quickly assembled to provide complete or partial walls for residential condos, apartments, conference rooms, equipment rooms, hospitals, and more. Sound assemblies were constructed, thoroughly inspected, and tested by Riverbank Acoustical Laboratories. NVLAP accredited for ASTM E90-09 & E413-10, ISO Certified. 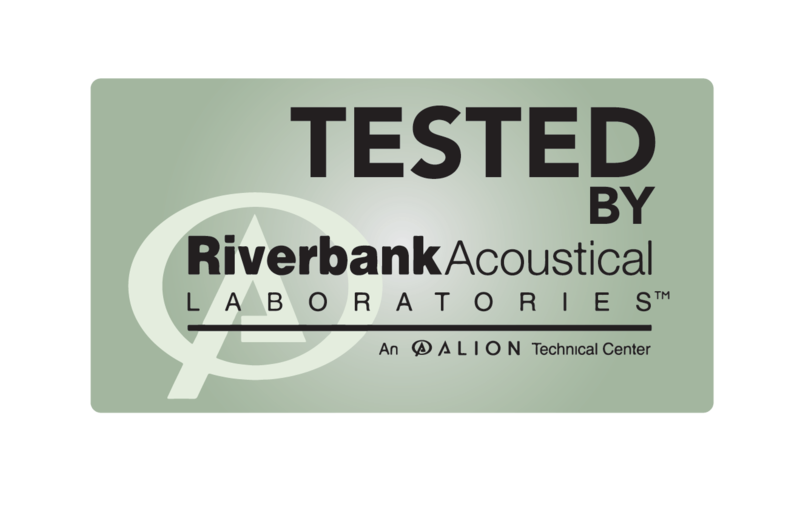 Riverbank Acoustical Laboratories is accredited by the US Department of Commerce, National Voluntary Laboratory Accreditation Program (NVLAP Lab Code 100227-0) to ISO 17025:2005 laboratory quality management and specific acoustical test standards. SSA Acoustics, a leader in engineering acoustics and multi-family residential design for 17+ years, has conducted extensive testing and research on SCAFCO’s SoundGuard. SSA’s team of acoustical consultants and lab technicians tested SoundGuard for isolation efficiency and in-field performance. When comparing the results gathered to those of other products within the industry, the team found that SoundGuard is the superior product for reducing airborne transmission in wall assemblies. Contact your local CWallA branch to find out more about the SoundGuard™ Silent Steel Framing System!